Many of us who have moved to the city have often dreamt of "farm life"—or at least something a little more idyllic. Being in the city, it's hard to get the best of both worlds, but the folks at Brooklyn Grange show how urban farming can be done—on our rooftops. Homestead Brooklyn takes some time to chat with Gwen Schantz, the COO of Brooklyn Grange Farm, who also directs the farm's design and installations department. 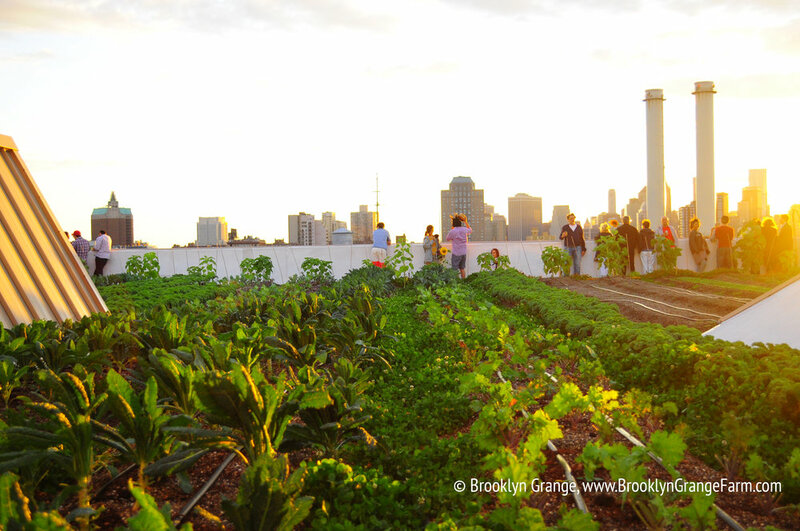 Summer Rayne Oakes: Why don't you start by giving an overview of Brooklyn Grange Farm for all the readers out there. You know, stuff like when you got started, how much produce you’re putting out, and other activities. Gwen Schantz: Brooklyn Grange is a small business, and a rather unusual one. We have three main departments: farming, events, and design/build. We produce about 50,000 lbs of organically-grown vegetables per year on our two rooftop farms, which we sell to local restaurants, and at our farmers markets. The events program hosts thousands of visitors each year for tours, dinners, workshops, weddings and fundraisers. And our design/build arm does consulting, construction and maintenance for private clients throughout NYC and internationally. We're a for-profit business, but we have a strong social and ecological mission, and we partner with a number of non-profits and schools throughout the city to ensure that our farms are seen as a community space, accessible to everyone. Head Farmer, Ben Flanner takes a workshop group out to collect peppers for a Hot Sauce making workshop at the end of the season. Photo: Summer Rayne Oakes for Foodstand. SRO: You do such a great job on the community space front. I’ve done a number of your workshops at Brooklyn Grange—like hot sauce making, macrame, and beekeeping. I think they’re wonderful because they’re informative and also bring a lot of passionate people who know their subject matter extremely well. What are some of your more popular ones that people clamor for year-over-year? GS: The top favorites are beekeeping and natural dying. The workshops bring in a lot of different people for different reasons, but the main themes are food and agriculture, natural systems and design, and green living/health. We have a lot of fun hosting them, and our staff really have gotten a lot out of them as well (we have some pro indigo dyers in crew now!). SRO: The beekeeping was such a good class. And you have both bees and chickens on your roof too. Is that more for educational purposes? GS: The bees are important for two reasons —they pollinate all of our fruiting plants (e.g., tomatoes, cucumbers, peppers, etc), and they make honey, which we sell at our farmers markets. They're also a great educational feature, and help to illustrate concepts of biodiversity and ecology that underpin our farms and all sustainable agriculture initiatives. 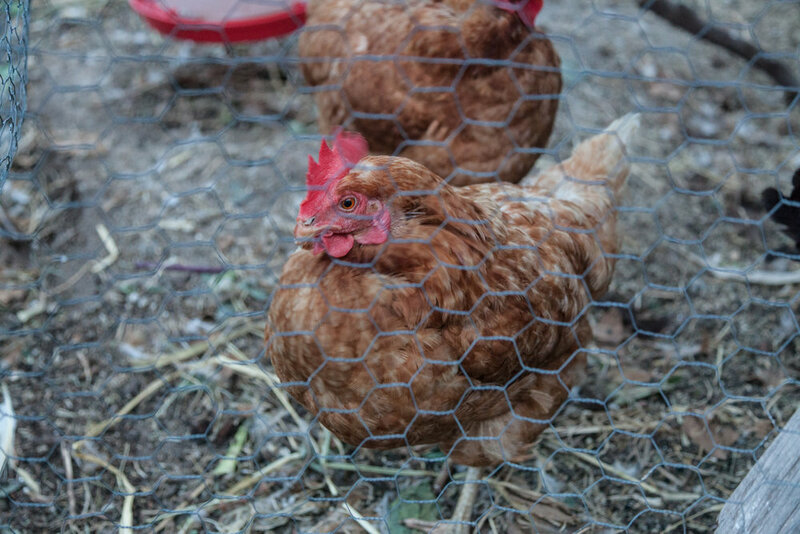 The chickens lay eggs, which we keep for ourselves, so they're definitely not a profitable contributor to the farm, but the chicken coop is a fun stop on the tour for all of our visitors and the thousands of children that come to our farms for City Growers workshops. SRO: What attracted you to rooftop farming—and particularly in the city? GS: I'm from Massachusetts originally, and I grew up growing plants, harvesting vegetables and herbs from the family garden, composting, and playing in the woods. When I moved to NYC, I didn't want to leave my garden behind, so I built one on my roof in Brooklyn. The roof is the obvious place for an urban vegetable garden because it's often unused, and it gets the best sun exposure. After a few years working in non-profits and restaurants, I met the people who would later become my partners at Brooklyn Grange, and we all shared a love for the City as well as a love for green space and farming —it was that common passion that served as the foundation of our company. SRO: I’m assuming though that if you want to do this professionally—or even if you want to put a garden or farm on a roof—that you’d have to get approval from the city or the building and maybe even consult with some structural engineers. What was some of that process like for you? GS: Yes, if you want to build a full-fledged rooftop farm like ours, you need to get a structural engineer to investigate the roof and sign off on the amount of weight that you'll be adding. Then you need to pull a Department of Buildings permit before you begin construction. If you just want to put a few planters on your roof for tomatoes, however, you can go ahead and do it— the City doesn't require permits for small gardens. The main thing that I advise everyone to do is put safety before everything else; don't compromise your personal safety or that of your neighbors just so you can grow some plants. SRO: All very good tips. I mean, you guys were really one of the preeminent first-movers in the rooftop farming space, at least in New York, and I know you had a lot of learnings and fits-and-starts along the way. What are three things that you wish you knew back then that you know now? GS: Big lessons learned were these: 1.) Starting a small business is hard, and you should expect low pay and long hours for the first few years (it's probably good that I didn't know that, because I might not have signed up if I did!). 2.) When you name your company, don't use a location in the name unless you're 100% sure you're going to be located there (we had a painful first few months after building our farm in Queens, under the name "Brooklyn Grange"; it worked out OK in the end —we now have a farm in Brooklyn and our neighbors in Queens are the best). 3.) For every client or deal you sign, you're going to have at least a dozen failed attempts. There are a lot of dead ends out there, and you probably have to check them all out before you find the right route. I've learned to cast a wide net, explore every opportunity, and keep expectations low in terms of assuming things will pan out. SRO: If someone is thinking of starting rooftop gardening or farming, what are some critical tips to consider before even starting? GS: If you're just starting a small garden on your roof for personal use, make sure you have easy access to the space (ladders are the enemy, stairs are friends, elevators are the best). Make sure you have water, on a timer, because you could have one hot day when you're out of town and literally everything will die. And don't grow food if there's a bridge, elevated train, or nasty paint booth vent hovering above your garden... toxins in the air tend to travel down, and you can always grow flowers instead. SRO: I think most people would be astonished how much you can do on a small area of rooftops in the city. Tell me more about the crops you grow—and how you even went about planning and expanding your farm? Do you decide to grow crops that you know that will sell in the markets? Or do you also experiment too? GS: We grow a lot of the vegetables that you'd see at the farmers market or at your local grocery store. It's a mix of salad greens, herbs, microgreens, tomatoes, carrots, cucumbers, radishes, and a few other specialty crops. We primarily sell bulk quantities of salad greens to restaurants, and then we bring a more diverse and colorful mix to the farmers market. Our farm team experiments with new crops each year, and sometimes chefs give us seeds for plants that they want us to grow, but for the most part the crop mix is based on a data-driven and well-honed plan that takes into account what grows well on our roofs, what sells best, and also what grows the fastest. SRO: Where do you envision urban agriculture will be in 5 to 10 years time? GS: Urban agriculture is growing as an industry, which is very exciting for us. There are two main sectors under the urban agriculture umbrella; soil-based farming, which includes us, a few small urban farm businesses, and most community gardens; and controlled-climate growing, which generally uses greenhouses and/or lights, and hydroponics, aeroponics, or aquaponics. I envision both of these sectors growing steadily over the next decade, with soil farms like ours doing important work to educate people and promote natural systems and green infrastructure; and controlled climate farms producing large quantities of super-fresh, local vegetables year-round in cities throughout the northeast. SRO: What’s the vision for Brooklyn Grange 2020? GS: We're going to build more farms, and continue doing more of the same work that we've been doing for the past few years. We've really honed our business model, and we've figured out a great balance where we engage, educate and feed people, and innovate, design and build urban green spaces. We also have a few opportunities in cities outside of New York (both in the US and abroad), so I expect that we'll be branching out beyond New York within a couple of years. The key for us will be to hold tight to our values, our culture, and our overall mission of promoting sustainability, health and social responsibility as we grow. SRO: I know Anastasia, one of your co-founders, authored a book, The Farm on the Roof, recently, but it’s not just about rooftop farming. Please share what the crux of the book is. GS: Anastasia tells the story of our business from conception in 2009 to the 2015 growing season. We we offered a book deal back in 2014 with a directive to write an "inspirational business book", and I think that Anastasia really knocked it out of the park. She did a great job of communicating the strange but inspiring story of our small business, and also helping other entrepreneurs to learn from our mistakes and best practices. SRO: Where can people find out more about Brooklyn Grange?